By investing in marijuana penny stocks now, you're claiming your piece of what some are calling the new "gold rush." Legal marijuana sales in North America totaled $10 billion in 2017, and that's expected to skyrocket 145% by 2021. By now, everyone knows the dangers of investing in marijuana penny stocks. You should never invest what you can't afford to lose. Easton Pharmaceuticals Inc. (OTCMKTS: EAPH) is known for making motion-sickness gel Nauseasol and anti-aging wrinkle cream Skin Renou HA. According to a 2017 report from Benzinga, Easton is part of a $1.3 million cannabis business deal with a Canada-based company, the Alliance Group. It's already advanced the company $575,000. The final deal will give Easton a stake in 45 acres of a 135-acre parcel of land used for marijuana cultivation and production. Until revenue can be generated from its marijuana crops, Easton will receive 50% of Alliance's revenue from its other businesses. It's unclear if Easton will use the cannabis for its own business or just sell it to other pharmaceutical companies. However, with Canada set to completely legalize cannabis by Oct. 17, there should be increased demand from pharmaceutical and recreational companies to buy cannabis. Over the last 52 weeks, the EAPH stock price has traded between $0.01 and $0.03 per share. Currently, the EAPH stock price trades at $0.01 per share. Marijuana Penny Stocks to Watch, No. 2: MCig Inc.
MCig Inc. (OTCMKTS: MCIG) is a full-service cannabis company that offers everything from greenhouse construction to production packaging. On Oct. 10, 2017, the company announced the launch of its new cannabis online ad network, eHESIVE. Through the network, mCig will offer online publishers and advertisers a platform to target cannabis users. Cannabis companies can't advertise on Facebook Inc. (Nasdaq: FB) or Google. And because Facebook has over 2 billion monthly active users and over 77% of global Internet searches are made on Google, these marijuana businesses are left at a disadvantage when it comes to reaching new customers. The eHESIVE platform solves this problem by allowing marijuana businesses to advertise on its platform and reach new customers. And the company is extremely optimistic about its profit potential. "DoubleClick, an ad network that survived the dot-com crash, was acquired by Google for $3.1 billion. As mCig develops its market share early in the game, the company also expects its advertising segment to also reach a significant valuation," a 2017 MarijuanaStocks.com report said. Over the last 52 weeks, the mCig stock price has traded at a low of $0.12 per share and a high of $0.42 per share. Today, the mCig stock price opened at $0.26 per share. But as the company grows eHESIVE, it should increase its revenue and attract more investors, potentially sending the stock price higher. 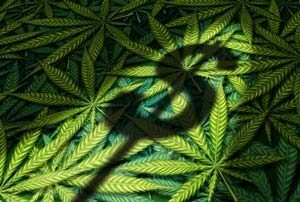 "EHESIVE is the enterprise digital marketing solution I wish we had when mCig entered the cannabis industry," mCig CEO Paul Rosenberg said, according to MarijuanaStocks.com. And while mCig is certainly a marijuana stock to watch, the stock price of this next company is expected to go absolutely vertical in the next 12 months. I have been following cannabis and industrial hemp stocks for a couple years now. I am surprised that no one has reported on a hemp company in North Carolina that goes by the name of Hemp Inc. (HEMP). They seem to be growing slowly but directly targeting the hemp industry. Perhaps you could look into this company. I have purchased stock in several of Michael Robinson's Nova X portfolio. I don't have the resources that most analysts have to research these companies and depend on people like Michael and his team. Keep up the good work. It agree, it is an excellent investment. I can hardly wait for it to become legal in NY. I am very interested in investing in this stock. What's the abbreviation of MJ stocks?